Other Notes: India Pale Ale. Keep it real! Brewer Description: (from bottle) There are lots of stories out there about how things came to exist. 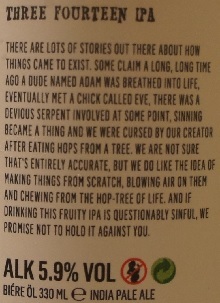 Some claim a long, long time ago a dude named Adam was breathed into life, eventually met a chick called Eve, there was a devious serpent involved at some point, sinning became a thing and we were cursed by our creator after eating hops from a tree. We are not sure that’s entirely accurate, but we do like the idea of making things from scratch, blowing air on them and chewing from the hop-tree of life. And if drinking this fruity IPA is questionably sinful, we promise not to hold it against you. Intro: A 330ml bottle with a best before date of 16th May 2019, ‘B8 tobbe’. Poured into a Lost Abbey teku glass. 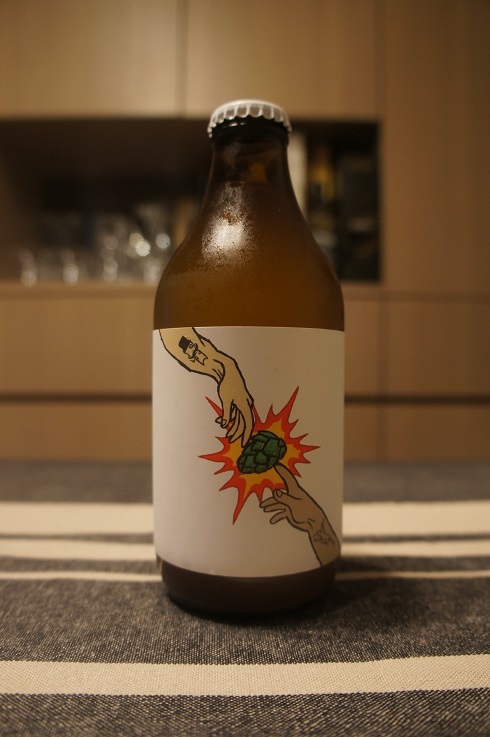 Appearance: A hazy straw yellow colour with a two finger white head that had decent retention and while leaving some lacing. Aroma: Citrus pith and rind, pine, grass with a hint of hay. Taste: Grass, hay, pine, lightly bitter, grapefruit and orange pith and rind, pomelo, with a touch of mandarin and pepper. 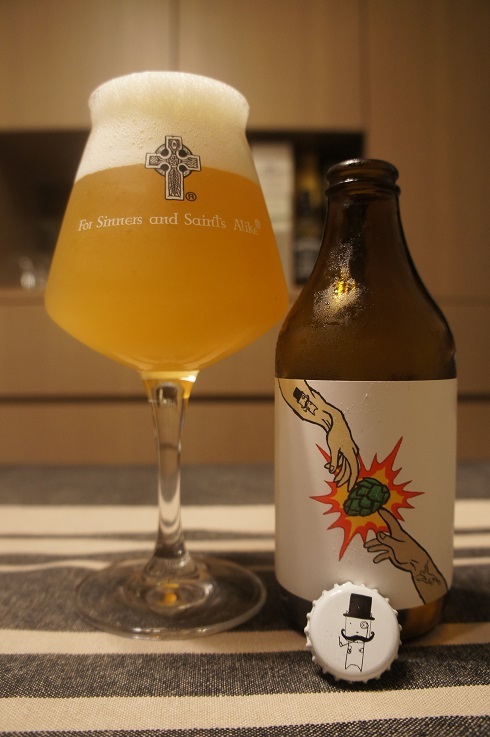 Overall: A nice easy drinking IPA with good flavours.